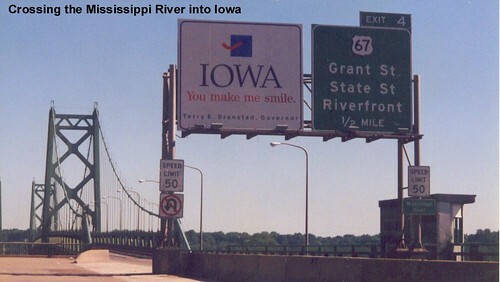 US 6 crossing the Mississippi River into Iowa. 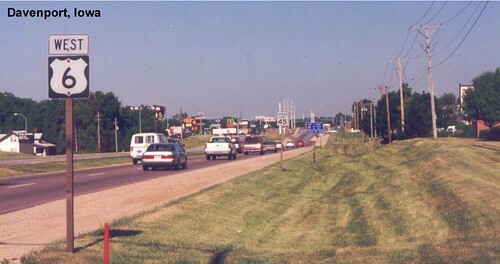 US 6 passing through Davenport. Only two lanes but with a wide shoulder on US 6 here in Wilton. Passing some malls early one morning on US 6 in Coralville. This section in Poweshiek County is typical of US 6 in Iowa. 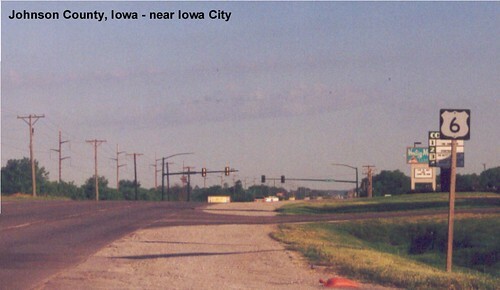 US 6 parallels I-80 across much of Iowa and as a result serves mostly local traffic. 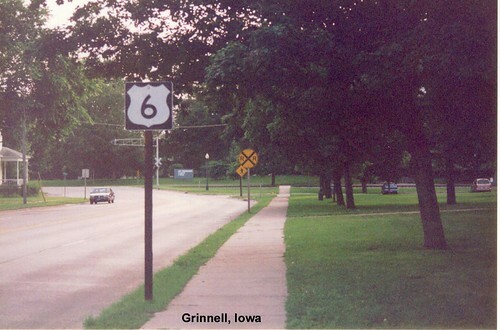 A four-lane section of US 6 in Grinnell. 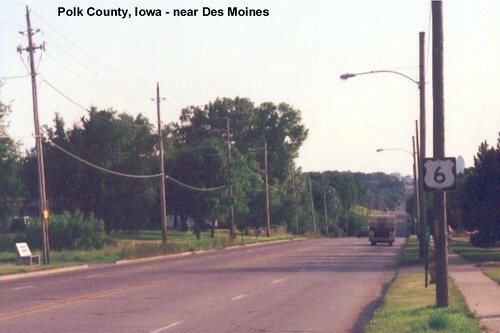 Another four-lane section of US 6, this time heading into Des Moines. Further west US 6 becomes a two-lane road again as it heads through farm country. After being multiplexed with I-80 for awhile US 6 heads south on a multiplex with US 71.